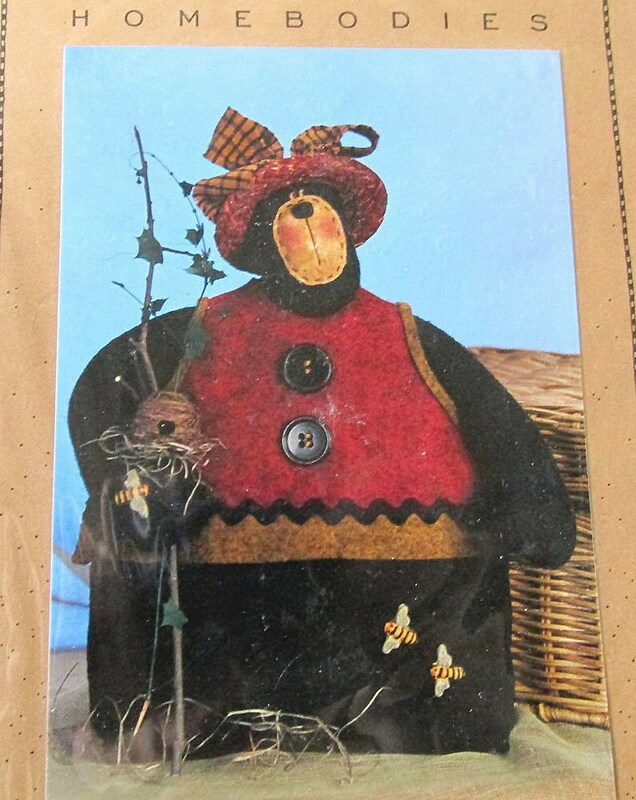 Bear pattern called "Bees N Me" created by Homebodies Patterns. This a RARE pattern. 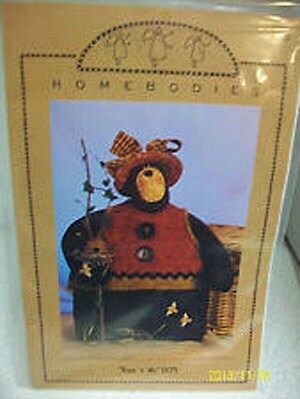 Homebodies Patterns have since retired and this pattern is no longer available. It is a cute Teddy Bear Shelf Sitter. He measures 10" tall.